Located on the ring road, offers unbeatable views of the municipality of Torrox with the Mediterranean Sea in the background. Urban viewpoint of "El Zagal"
Located in the eastern part of the province, this is the area of the Province of Malaga with the greatest number of municipalities. 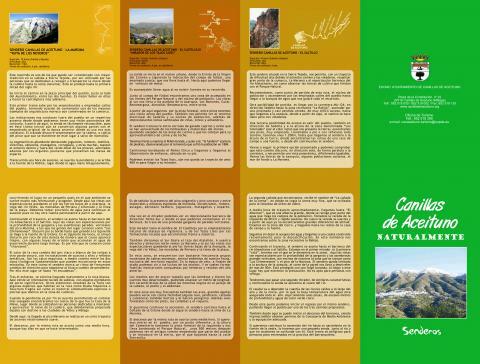 From north to northeast, the mountain range formed by the Sierras de Jobo, Co, Camarolos, Prieta, del Rey, Enmedio, Alhama, and particularly Tejeda y Almijara, recently declared Natural Park, protect this region. This land has enormous potential in terms of its resources and is of major tourist interest. Visitors can find great nature spots of mountain ranges, mountains, slopes, cliffs, etc., and enjoy the great offer of its local gastronomy and its magnificent artistic heritage. Its towns comprise picturesque havens which have managed to conserve the beauty of their streets, squares, monuments and popular festivals with a backdrop of light and colour, and which, coupled with its weather conditions and environmental attractions, make this an ideal place for visiting. 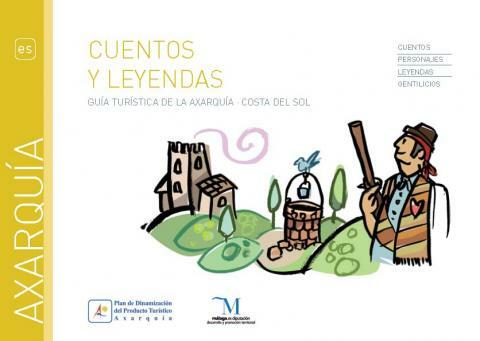 And it seems that the lands of the Axarquia are like a miniature Malaga: mountains, valleys, mountain ranges and coastline all together. 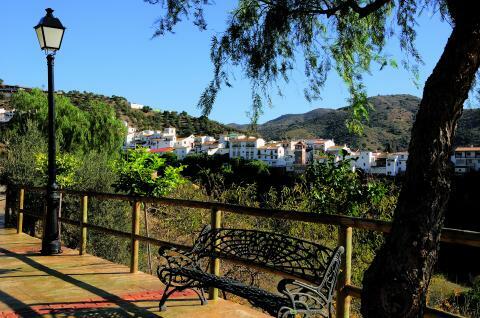 The Axarquia Mountains are a labyrinth of olive and almond groves and vineyards, linked together by the towns and farmhouses which dot the landscape and infuse it with life. A life, which is also present in the crops, nestled in narrow valleys, which creeps up the hillsides and sunbathes on the raisin beds, also called paseros. 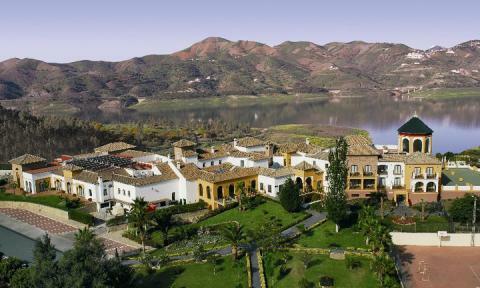 The Axarquia Valley is a flood plain of fruit groves and gardens, which continues its way up the Vêlez River, with lemon and orange trees along the Benamargosa and Guaro until reaching the small valleys to be found at the foot of the ranges. The mountain ranges are to be found overlooking the sea with their various Mudejar and Mediterranean towns, either on the hillsides or hidden in the valleys, with the mountains behind and the Mediterranean strip of blue on the horizon. This is also the land of springs, which allay the thirst of the locals, forming streams and watering the terraced crops. 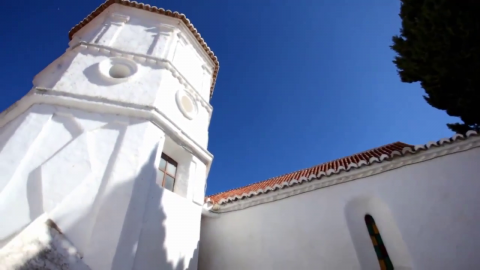 The coast of the Axarquia is characterised by its cliffs and coves, with headlands and watchtowers, beaches and gardens, tradition and tourism. Our walk through these lands begins in Nerja, a municipality with impressive cliffs (Maro-Cerro Gordo), which had been declared Natural Park, not to mention their famous caves. 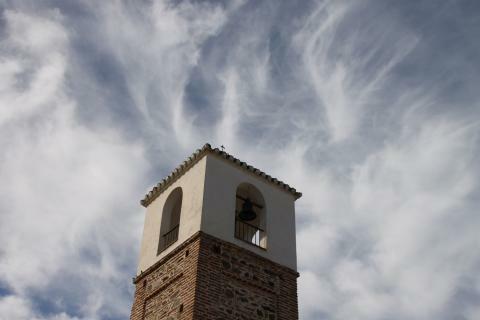 We follow our way and arrive at Torrox and Algarobo, two villages, which knew how to bond their tourist offer with their traditions. 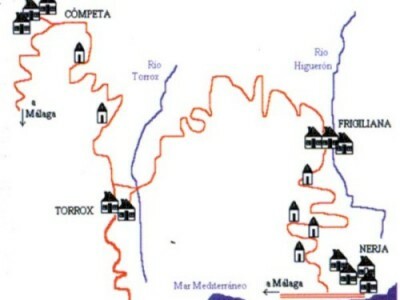 Later we will arrive at Velez Malaga, the capital of these lands. 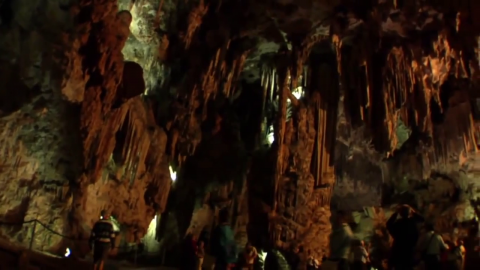 This municipality, with rich cultural heritage, is full of surprises. 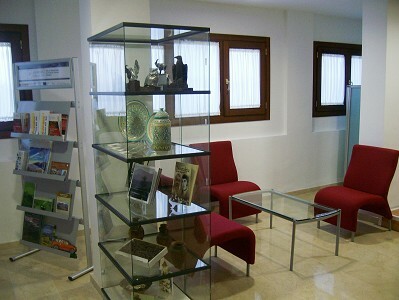 Torre del Mar is the window from which we can catch sight of the Mediterranean Sea. In the end, we will reach Rincon de la Victoria, a small fishing village, which adapted itself to the tourist demand. Wine-producing; olive oil, honey and fresh cheese. Meat, metal transformation and systems of exploitation and utilization of waters. Rural; sun and beach, leisure activities. 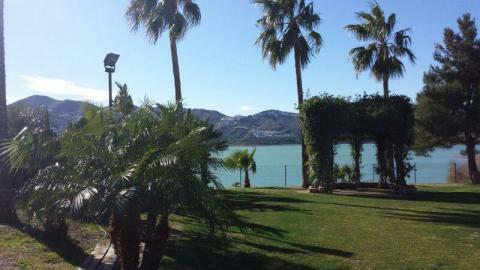 More English information of Axarquîa Costa del Sol on the website of the Costa del Sol Tourist Board.